There are three types of dogs in this world: dogs that don’t care about fetch, dogs that fetch but don’t retrieve, and Labradors. Unless you have a Labrador or live in a perfect 1950s Pleasantville, (in which case you probably have a Labrador) you’ve most likely had to face the crushing reality that a lot of dogs don’t have the fetch instinct. Plenty of dogs will happily run after a thrown toy, but then refuse to bring it back — or they might pick up the toy and make you chase them around just for funsies. Other dogs are more interested in the hair between their toes than the fetch toy you’re trying to get them excited about. The point is that your dog probably won’t instinctively run after a toy or ball and bring it back like the dogs in the movies. That doesn’t mean they won’t and it certainly doesn’t mean they can’t. Almost any dog can be taught to fetch and just about every dog will quickly learn to love it. 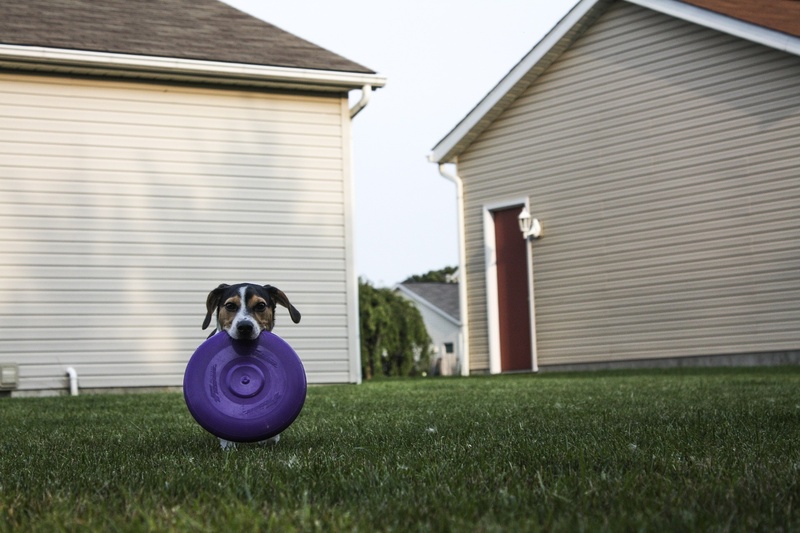 Fetch is a great way to get your dog exercise that will stave off health problems like obesity, and provide an energy outlet to curb any destructive behaviors. It’s also a handy way to tucker them out so they get the sleep they need. Plus, it will keep them mentally stimulated and strengthen your bond together. Gather some treats and a clicker (learn more about clicker training for dogs). Move a few feet away from your dog, crouch down, and hold out your hand. Encourage them to touch your hand with their nose. When they do what you want, immediately click to "mark" the successful behavior — to let them know exactly why they are getting the treat — then give a treat and praise them. Repeat until they start to understand what you want (probably about 10–20 attempts). Move farther and farther away and repeat. Once they understand the behavior, start using a marker word like “come” or “over here,” and repeat with clicks, treats, and praise. Add distractions like other people, toys, or head out into your yard to test their skills. Once you can reliably call your dog over, you’re ready to start turning this behavior into a game. 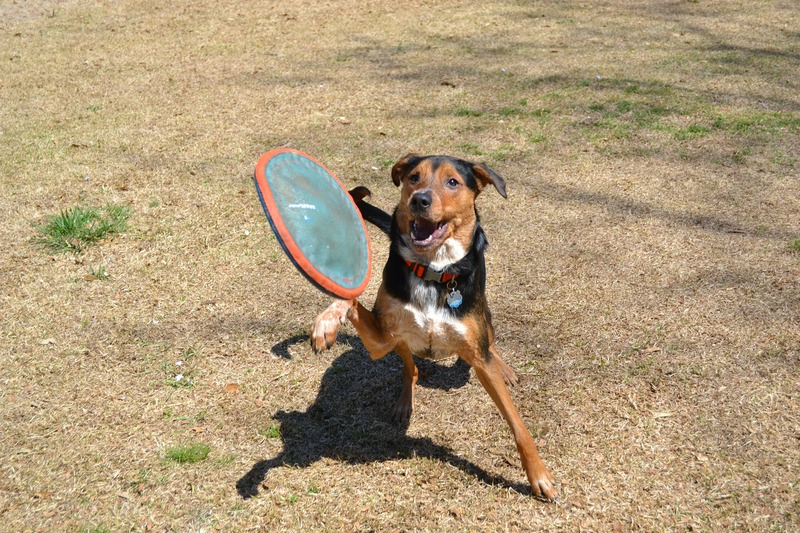 Once you’ve picked out a good toy, introduce it to your dog so they start to get excited about fetch. Place the toy near you. As your dog gets close to it, click, praise, and give a treat. If they touch their nose to the toy, click, praise heavily, and give treats. Continue this process until your dog reeeally likes the toy. Caution: See why you should avoid throwing sticks for your dog. Now that your dog is starting to figure out that touching the fetch toy means treats, start moving it around so they have to move to get to it. Don’t throw the toy yet, or even move it very far. Simply hold the toy in slightly different positions — at arm’s length — and encourage your dog to touch it. Each time they touch the toy, click, treat, and praise. Continue this little dance until you’re sure the behavior has stuck. 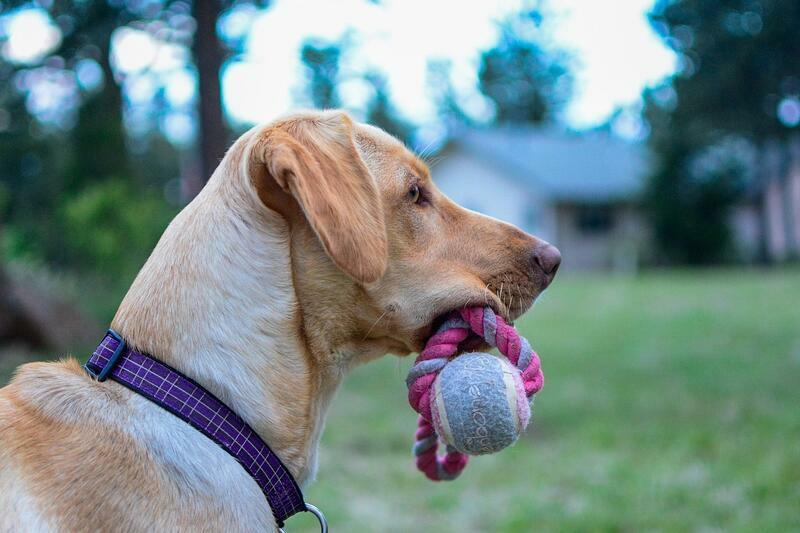 Now it’s time to start rewarding your dog when they actually grab the toy with their mouth. This can take a little patience on your part. The key is to watch your dog’s behavior and reward when it starts to look like the behavior you want. Place the toy on the ground at about arm's length. If your dog moves from touching their nose to the toy and begins using their mouth, it's time to click, praise, and treat. Each time they get a little closer to biting the toy, continue to reward. If and when they pick up the toy with their mouth, act like it’s the best thing you’ve ever seen (and don’t forget to click and give treats). Remember that your dog will be looking to you for reassurance that they’re on the right track. At this point, your dog should know that placing the toy in their mouth means they get a treat. The next phase is perhaps the trickiest, but you only need to follow the same method of rewarding small steps toward success. Toss the toy a few feet away from you. When they pick it up, click, treat, and praise. Continue this until they understand what they’re supposed to do. Then toss the toy and encourage your dog to bring it back to you. When they do, click, treat, and praise. Once your dog has realized that they get treats when they get their toy and bring it back, start "upping the ante" by throwing the toy farther. It might help to find a hallway (which will reduce distractions) and toss the fetch toy farther and farther away. With each successful fetch, offer treats and praise, then toss the toy a little farther. Repeat as many times as necessary for your dog to understand what this fetch game is all about. This part is optional. If you would like to add a marker word like “fetch,” now is the time to do so (when your dog is successfully fetching their toy). Say the word before throwing the toy, then lay it on heavy with treats and praise when they successfully fetch for you and say something like “good fetch.” Of course, it’s not necessary to say “fetch” or another similar word. By this point, your dog has probably learned to enjoy the game itself — with or without a verbal cue. This video by the late Sophia Yin is great at illustrating how to teach your dog fetch through incremental phases and rewards. Up to this point, you’ve been playing fetch inside, where things are nice and quiet. But now it’s time to head out into the world where distractions are plentiful. Begin in a fenced space, such as a backyard or other enclosed spot. If you don’t have such a yard, try a quiet fenced-in park or other public place. Go during times when there aren’t other dogs or people; at least, when there aren’t too many other dogs and people. If your dog isn't yet good at going off-leash, learn how to train them and be safe when off-leash. Be sure to bring some treats with you, as you’re now asking your dog for a little more effort and they’ll need a reward for everything to sink in. Play fetch like you would at home, tossing the toy farther and farther away and rewarding your dog for successfully bringing it back to you. Some dogs might never learn to love fetch. Maybe you can teach them the behavior, but they just don’t get to the point where they enjoy the game.